Mission Hills Haikou has been selected as Asia’s Leading New Resort by the prestigious World Travel Awards. The award was presented at a lavish Gala Ceremony in Bangkok. 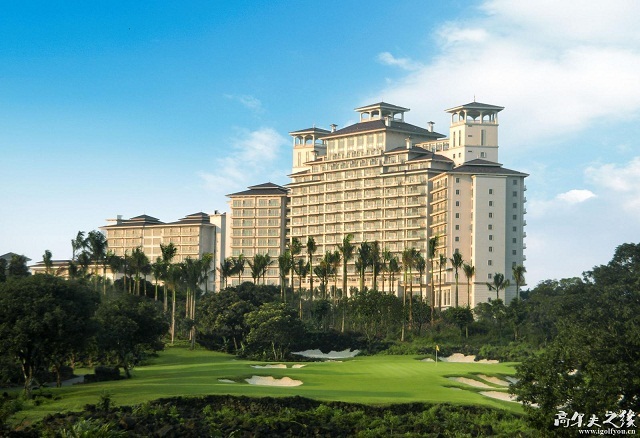 Representing the next act in Mission Hills’ rise to global prominence, the Haikou property lies in the volcanic region of exotic Hainan Island. The resort caters to golf enthusiasts and comprises of specially designed golf courses, each one incorporating the native lava rock formations. Other state-of-the-art features include luxury resort, meeting facilities, Hainan’s only aquatic theme park, a spa oasis, therapeutic natural mineral springs, world-class restaurants, fully-equipped sports and recreation centre, and a shopping arcade. Mission Hills Haikou is poised to be the island’s premier sanctuary, attracting visitors from around the globe. The property is the only five star hotel in China built alongside golf courses featuring an unobstructed view of the panoramic natural greenery. Golf is, naturally, central to the offering. 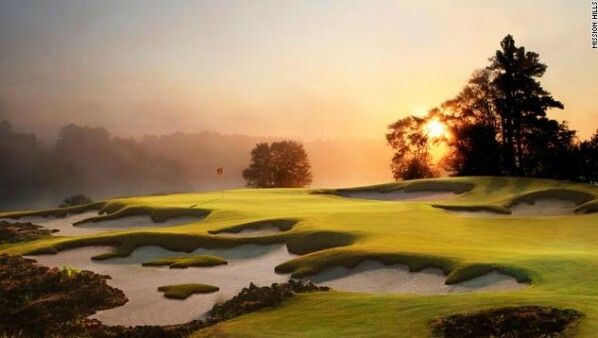 Ten courses are nestled amid verdant, leafy vegetation, with Mission Hill Haikou’s courses among the few in the world (and the first in Asia) to be built on beds of lava – making golfers feel as if they were playing on the moon. The 7,808 yard flagship Blackstone Course, covering 350 acres, is designed to be one of the word’s premier tournament courses. It has been played by many A-list celebrities and professional golfers, including during the inaugural Mission Hills Star Trophy 2010, a ground breaking celebrity golf tournament. The course also played host to the Omega Mission Hills Word Cup in 2011. Hank Haney Golf Academy is also on hand, providing golfers of all levels – from amateur to professional – with the skills and tools they need to advance their games. Features include an indoor training facility, a putting studio, club fitting equipment and ball flight tracking technology, plus an outdoor grass range and putting green. All instructors are trained and certified directly by renowned teacher Hank Haney, the Academy’s Director of Instruction. Mission Hills Haikou, is located in the provincial capital of Hainan, and is reachable from the city centres of Haikou or Haikou Meilan International airport within 15 minutes by bus, and from Hong Kong following a 60 minute flight. At present there are more than 180 direct airline flights to Haikou. A regular shuttle service is provided for the convenience of guest between Haikou Meilan International Airport and the resort.